Today is F8 (pronounced “eff eight”), which is Facebook’s annual developer conference where Instagram has just announced a bunch of new features coming to the platform. There’s a bunch to cover so let’s get into it. Not long ago, we saw further improvements to Instagram Stories which made it easier to upload stories in batches of 10. Today, Instagram announces that more apps will be integrated to upload directly to stories. The first two apps to be integrated into Stories are Spotify and GoPro. Spotify’s integration brings song stickers that link to the full song in Spotify so your viewers can vibe with your current song, playlist, or album. 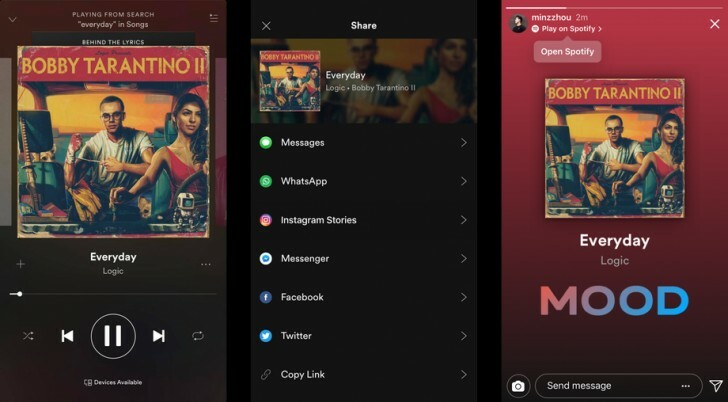 You can either post to Stories or send an Instagram DM with a song/playlist/album. GoPro’s integration works by simply choosing a clip in the GoPro app and you’ll be able to share directly to Instagram stories. From here, you’ll be prompted to re-center and/or crop the video or image before uploading. There is no need to have to link your GoPro account with Instagram as the sharing is done locally on your device, via the Instagram app. 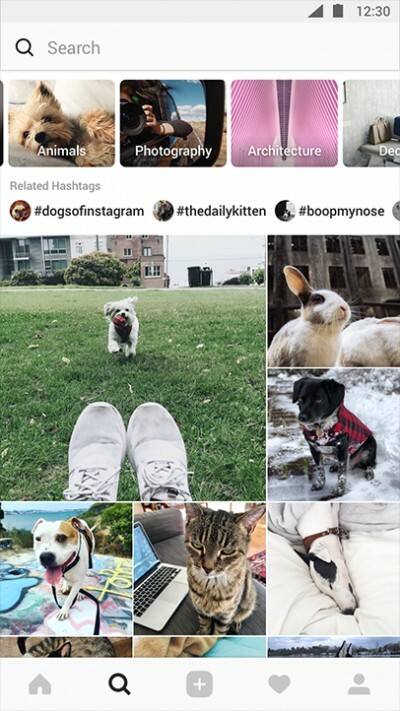 Instagram says the new integrations on Instagram will also work when posting Instagram Stories to Facebook Stories and there will be more apps in the near future that will be integrated to Instagram Stories like Spotify and GoPro. Let’s move on to the new AR effects. Instagram has taken advantage of Facebook’s Camera Effects Platform to bring AR effects from celebrity accounts like Ariana Grande, Vogue, and the NBA. These AR effects range from face filters to environmental ones. Enjoy this Ar effect of Jiff the Pomeranian. The next new feature is Video Chat. This can be initiated by tapping the video icon at the top corner of any Direct Message thread whether it’s with another individual or “a small group”. Based on the following press image, we assume a max number of four participants per video conversation session. Finally, this is Instagram’s new Explore page. This is the page that is personalized for every user to discover new people and accounts to follow. Rather than a feed, it is categorized into “topic channels” so you can brose with more direction. If you find a topic you like, you can see related hashtags. GoPro integration will be going live today while Spotify integration should be live tomorrow (some may already see it working). Meanwhile, Spotify support for Facebook Stories is “coming soon”. New third-party camera effects, and Instagram’s new explore page will be rolling out “in the coming weeks” while Video Chat should be rolling out globally “soon”. Which feature coming to Instagram are you most excited for? There’s a lot to look forward to on the social platform. Instagram is really striving to keep you engaged and keep things fresh. Whaaaat? Why on Earth do I need video chat on Instagram? 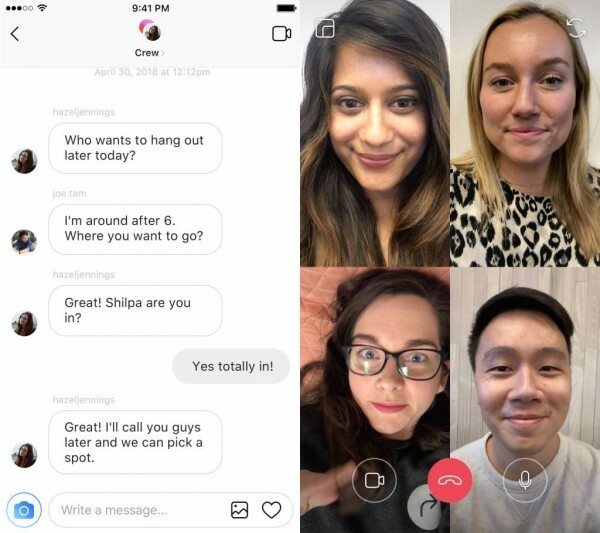 I can not wait for the new video calling feature.